Presenting a fresh edition of our DISPATCH series – taking you inside the world of outdoor adventure. We take you to Eldora Mountain Resort outside of Boulder, Colorado, for opening week of the ski season. The snow is flying early in Colorado, and Eldora President Brent Tregaskis predicts this will be the best snow season in decades. 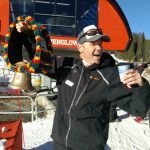 We hang out with marketing director Sam Bass and coaches with the 20-time national champion University of Colorado ski team and youth development squad. 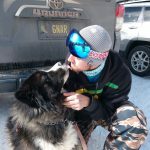 We get to know local ripper Joey Teahan and his dog Cuervo. 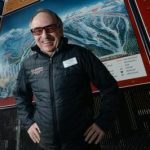 Eldora President Brent Tregaskis has overseen more than $10 million in improvements to the mountain since POWDR Corp. took over four years ago. Matt Tomasko stays busy! 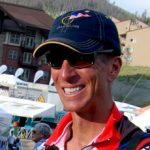 He’s the executive director of: (1) Lake Eldora Race Team; (2) Eldora Mountain Ski and Snowboard Club; and (3) Singletrack Mountain Bike Adventures. Local ripper Joey Teahan shoots some amazing drone and action ski footage.